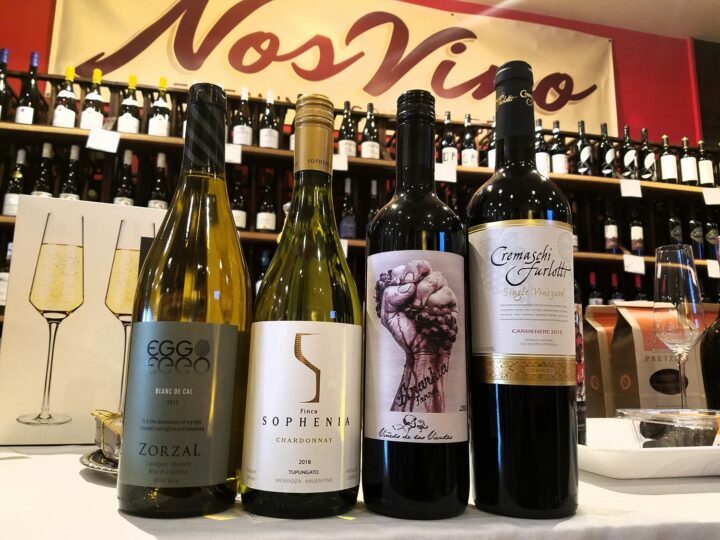 For this month’s final tasting from South America we decided to share wine from a producer which exemplifies what we, at NosVino, are all about: family owned and operated estate wines. 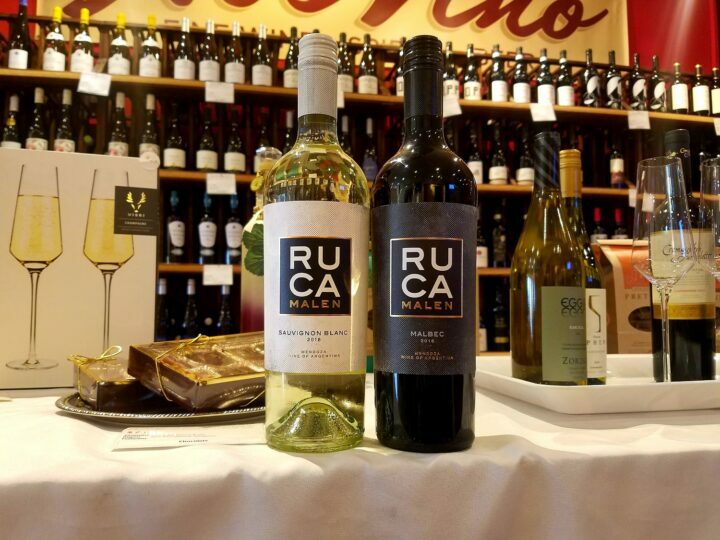 We bring you two beautiful babies from Viña Echeverria. In the 1750s, the Echeverria family relocated from the Basque region of Spain (where great wine is also made) to Chile. North of Santiago, they began to cultivate agricultural land, planting many crops, vineyards being among them. We fast forward to 2019, over two and a half centuries later, and the Echeverria family still tends to their estate winery, with its vineyards and residence virtually unmoved from where they stood nearly one hundred years ago in Chile’s Central Valley, the location of the Echeverria’s first established fully operational winery. Roberto Echeverria Jr has been head winemaker since 2001. He uses his talents and family history to blend new world modernism with old world sophistication. 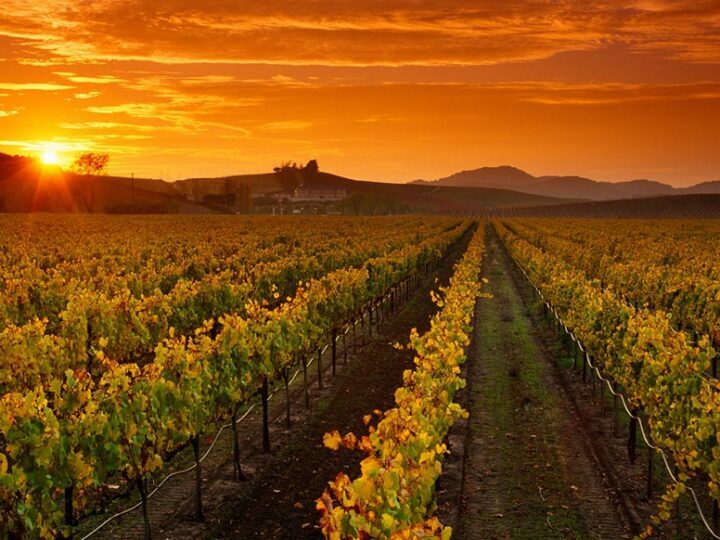 Viña Echeverria produces over thirty wines and harvests a select amount of French varietals. Their sixty-five hectare estate is planted to Sauvignon Blanc, Chardonnay, Viognier, Cabernet Sauvignon, Carménère, Merlot, Pinot Noir, and Caberent Franc. All of their grapes are hand-harvested and brought directly to the winery–one of the great advantages of having an estate winery; the grapes always arrive quickly and are fresh, thus enhancing the overall quality of the finished wine. The family prides themselves on the fact that their traditions are expressed through their wines. Each wine possess an elegant, refined character, with concentrated, captivating aromas and remarkable flavor, all obtained from Chile’s beloved and ideal landscape. They are also devoted to economic, environmental, and social sustainability. They use organic farming processes, biodegradable products, flood irrigation, and do all they can to encourage the natural biodiversity of the land. Our first wine is the Echeverria Reserva Unwooded Chardonnay. With its attractive hues of gold and vibrant yellow, this full-bodied white is fresh, clean, and fruit-forward. Striking aromas of ripe peach, pineapple, melon, and a hint of citrus harmonize beautifully with a silky, soft, lingering finish. This Chardonnay is stainless steel tank fermented and blended with Viognier wine after fermentation to add balance and structure. Wonderful as an aperitif, the Echeverria Unwooded Chardonnay also fits in quite well with a variety of shellfish, sushi, sashimi, salads, white meats, and pasta dishes with creamy sauces. The Echeverria Reserva Cabernet Sauvignon is the essence of the term “wine with dinner.” This bold yet refreshing red is fermented in stainless steel tanks and aged in matured, French oak barrels for four to five months. It is bright ruby in color with marvelous notes of plum and lush strawberry that blend expertly with touches of red pepper and spice. Balanced and delicate on the palate with and fresh, fruity, long-lasting finish, this Cabernet beckons for charcuterie and roasted game, sausages, grilled meats, and pork bellies. 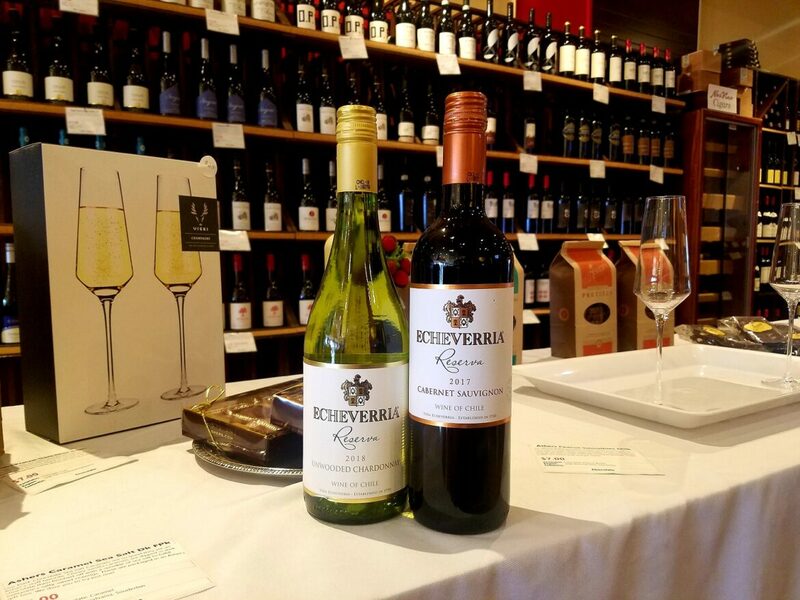 The Echeverria’s still hand-sell their wines and travel worldwide on a regular basis to maintain excellent relationships with all of their clients; their passion for winemaking and strong family roots are what compels the dedication they have for those who have taken Echeverria wines into their hearts and homes. 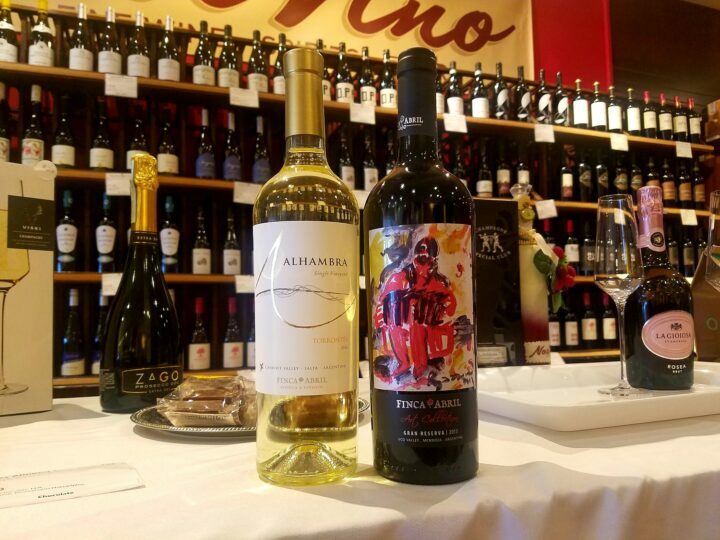 Taste these two wonderful wines with us; they are true expressions of tradition handed down from generation to generation, handled with love and care.